SIMPLE SOLUTION Training Spray for Puppies is a scientifically formulated attractant. 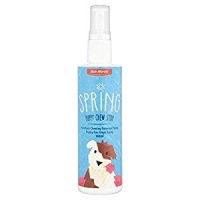 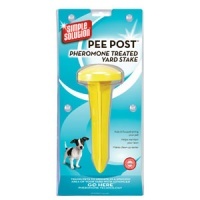 Using this product helps train a puppy to urinate in the appropriate area. 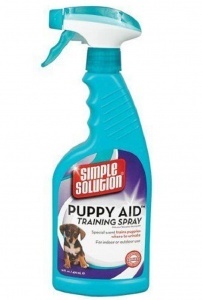 Simple Solution is made for both outdoor and indoor use. 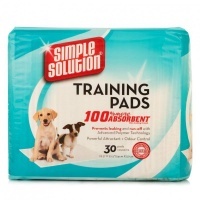 For inside simply spray he product on newspaper or a Puppy Training Pad to attract the animal to the spot.